I’m not a big fan of the bottled barbecue sauces out there. I eat them but there is no slathering going on. 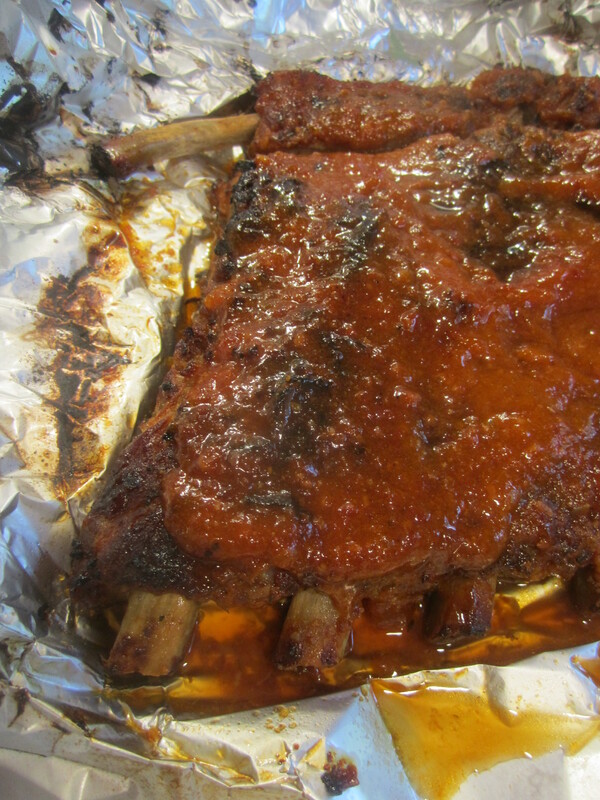 I dab some on my ribs for just a bit more moisture and a bit more flavor but that’s about it. 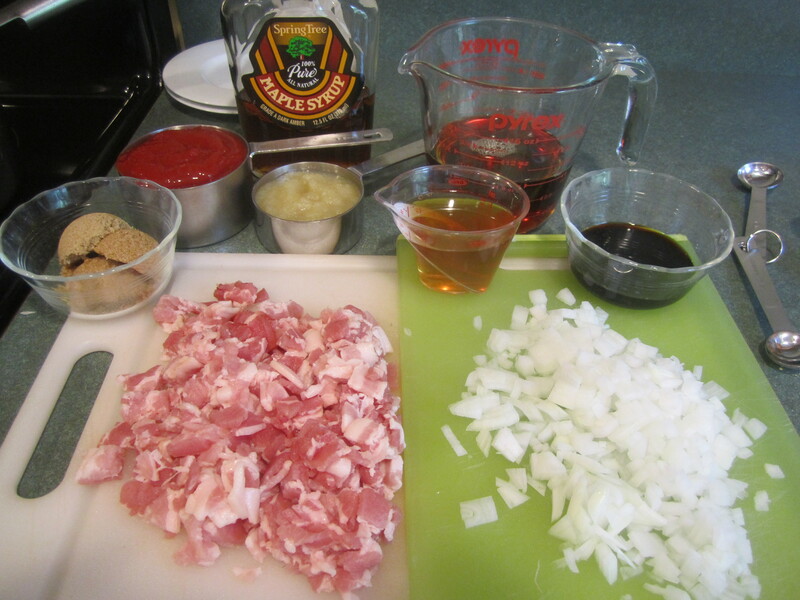 Then our friend, who is also a caterer (The Traveling Chef), took care of our family party and made this Maple Bacon Barbecue Sauce to go on the ribs. 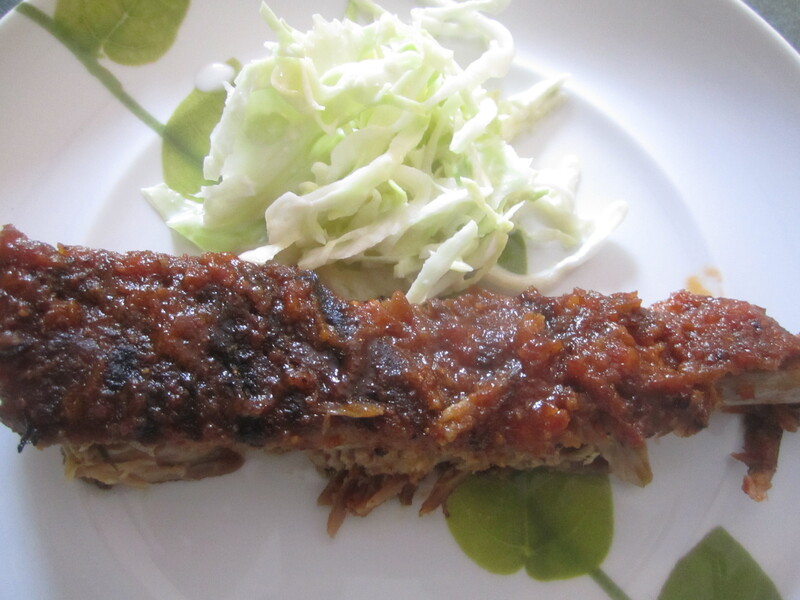 My son was a huge fan and Julie supplied me with a similar recipe that she uses (thanks Julie!) and it is delicious. Slatheringly delicious, eat off the spoon delicious. Any way, you get the idea. It takes a bit of time but well worth the effort. 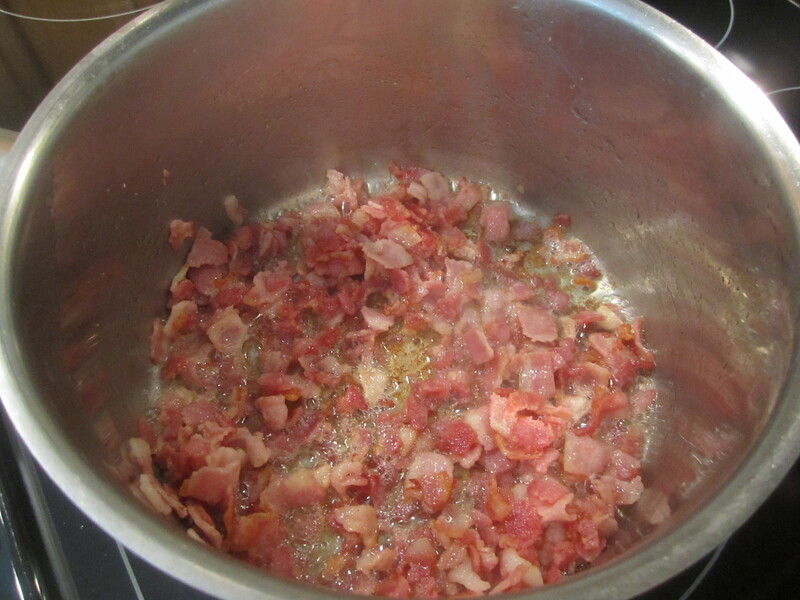 In a medium sauce pan, place the diced bacon in the pan and cook until half way done. (It says to drain off all but 3 tablespoons of fat but I had very little fat, so this was not necessary). 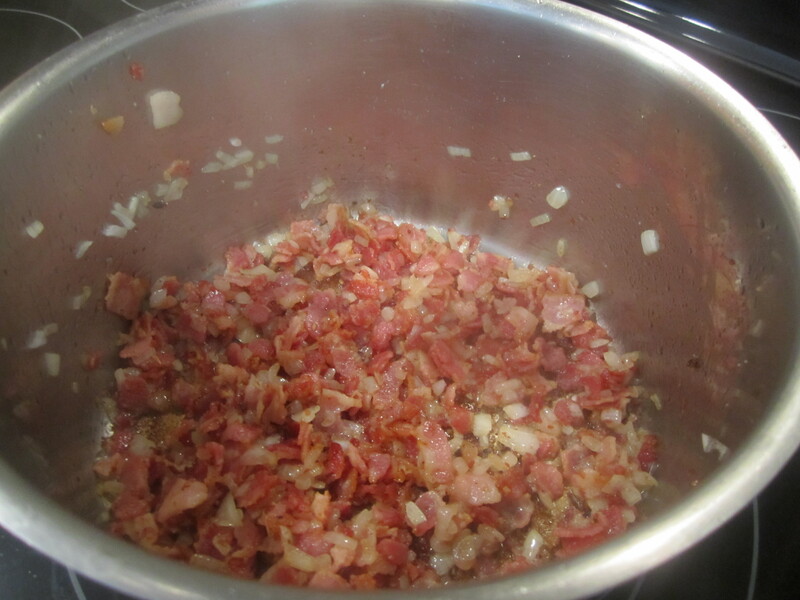 Add the onion to the bacon and fry until the onions are tender and beginning to brown. 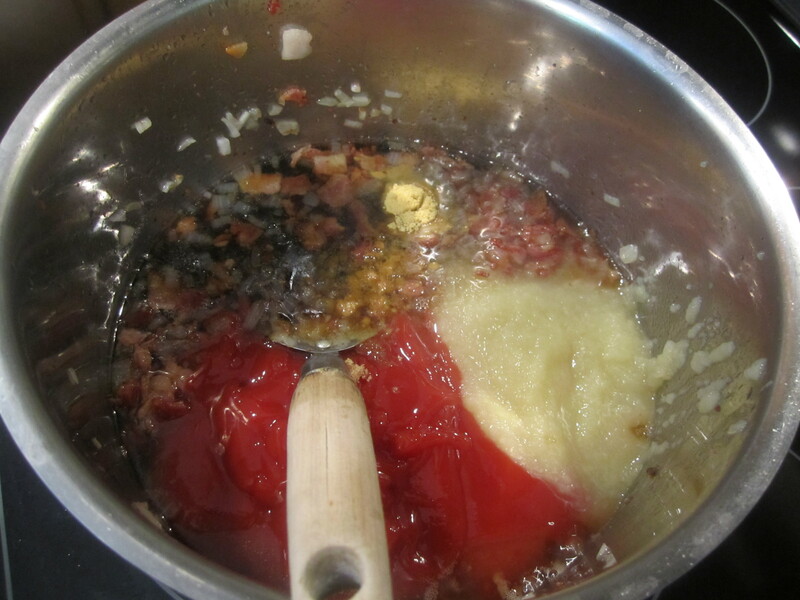 Add the ketchup, applesauce, maple syrup, vinegar, soy sauce, mustard powder, brown sugar and bring to a boil. 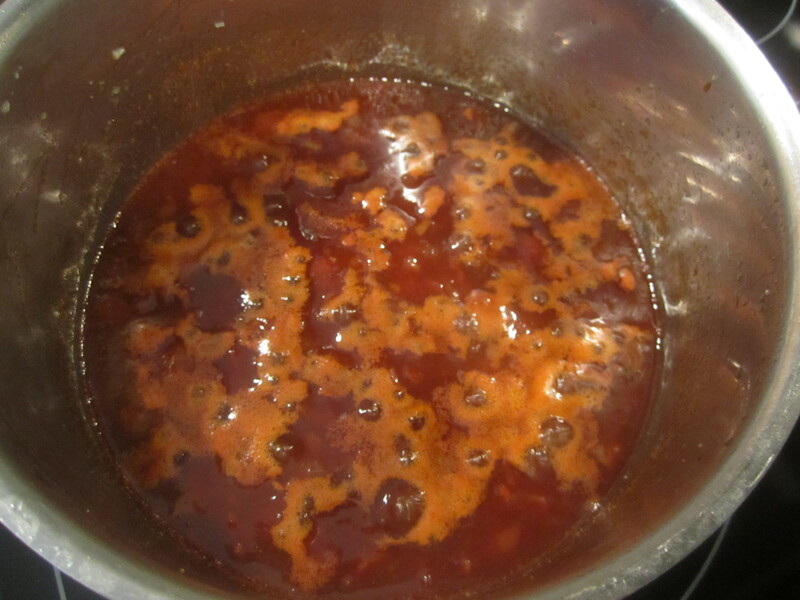 Reduce heat to low and simmer for 15 minutes, stirring occasionally. 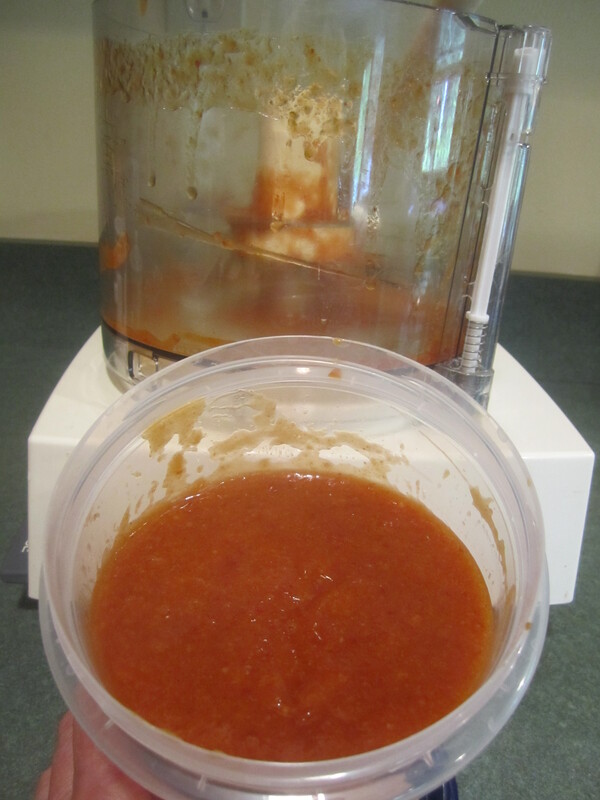 Place in a container in the refrigerator until ready to use. This stuff just gets better with time, so enjoy!